R on Ackers, the self-taught, freehand English tattooist was born at Ellesmore Port on February 21, 1932. He described his childhood as unremarkable; but thanks to his uncles who were tattooed, Ron developed a love for tattooing early in his life. By the early 1940s Ackers was drawing designs on his school chums and in 1946, at the age of 14, he got his first tattoo from Bill Stokes in Chester. He got many more tattoos from Stokes over the years and when Stokes retired in the late 1940s Ackers got some of his tattooing equipment and started tattooing himself and his friends. When Ackers reached the age where National Service was required, he set off to serve in the Royal Army Medical Corps where even his meager tattooing skills were welcome. In 1952 Ackers set up his first tattoo shop in the city of Chester. Tattooing evenings and Saturdays and working in a local factory during the day, Ackers settled back into civilian life. Chester was too small to contain the talents of Ron Ackers and he began to look for greener pastures. Thinking that a seaport town would bring him more customers he relocated to an arcade in the city of Rhyl on the Irish Sea. It was there that Ackers came into contact with tattooing from many other European tattooists and where he first heard of Les Skuse. Ackers contacted Skuse and was invited to his shop in Bristol. Ackers described Skuse's shop as a palace compared to his small arcade shop in Rhyl. 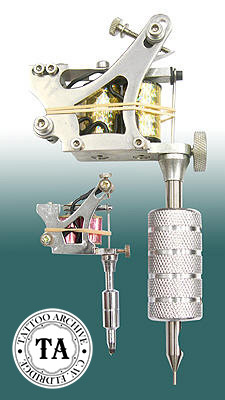 Through Skuse, Ackers started making connections with American suppliers who were selling superior tattooing equipment to what was available in the UK at that time. In Ackers biography, Ron Ackers, Tattoo-Artist, he said that he spent 12 contented years working out of his tattoo booth in the arcade. In the winter months he tattooed in a variety of places. In 1963 Ron Ackers, along with Mike McGowan and Peter Lewis, formed the North Western Tattoo Club. 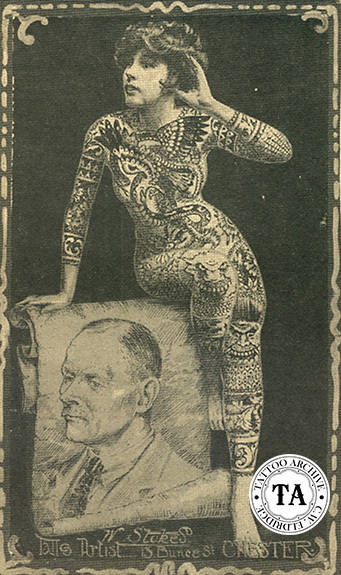 It was formed "for those with major tattoo designs of a high artistic standard and as a federation of tattoo artists pledged to observe certain codes of practice and fulfilling hygienic regulations". In the July 1965 issue of the Tattoo Club of America newsletter they stated that the North Western Club had 70 members and seven affiliated tattoo artists in the northern counties of England and Wales. As with most tattoo clubs they had a logo that members could have tattooed on them. The North Western club logo shows the head of a Spanish fighting bull the letters N.W.T.C on a ribbon. In a 1960s news article Ackers said that the logo was chosen because bull fighting designs were popular with his customers. Throughout the years, Ron Ackers worked with many tattooists including Johnny O'Brien, Les Skuse, Lyle Tuttle, Stan Davis, Davy Jones, Cash Cooper, Harry Leavers, Tattoo Jack and Mick Bloor. During the 1960s Ron Ackers took a traveling tattoo van on the road where he tattooed in Spain, Germany, Denmark and Italy. 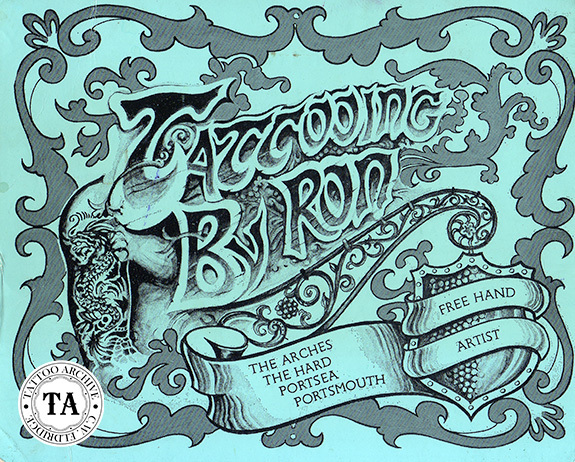 Ron Ackers is best known for his years in Portsmouth England. In 1966 he moved to Portsmouth where he set-up shop under the railroad arches at Portsmouth Harbor station and worked with Joe Cleverly.